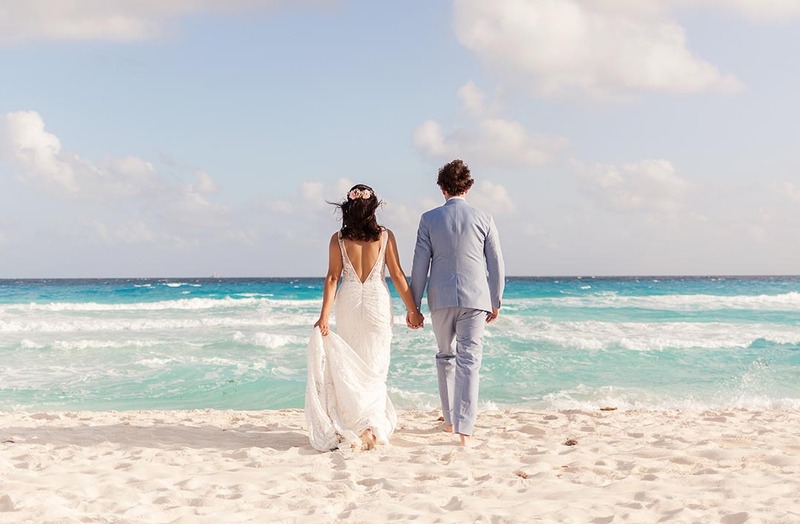 The most important thing you need to do at your wedding in Cancun. 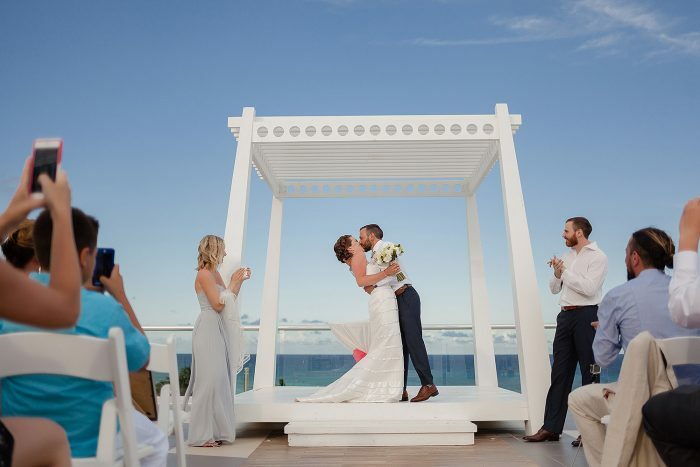 The most important thing you can do at your wedding in Cancun is to let all expectations go and simply enjoy your wedding. 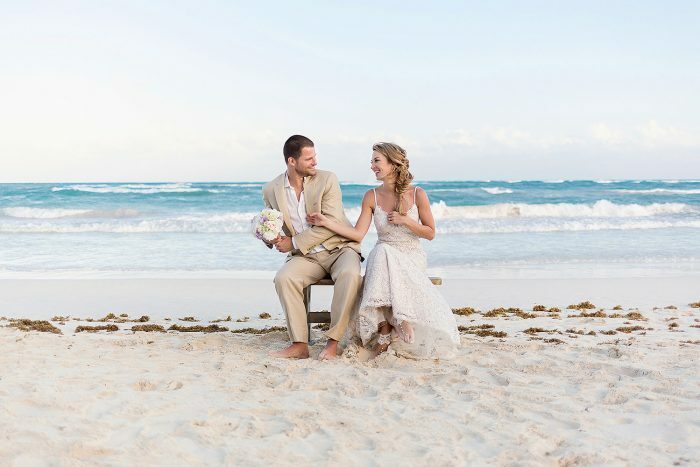 One of the most common sentiments I hear from couples after their Cancun wedding is finished and the “big day” is over, is how quickly it seemed to go by. “I can’t believe it’s over,” or “ It happened in a flash” they’ll say. The reason it seems to go by so fast is there are so many moving parts, emotions, etc. And the next thing you know it’s the end of the night. Granted, a memorable and magical day, but a day that really flies by. The way to really stretch out the good times and make the most of the entire process, is to think of the planning as part of the wedding and not just the wedding day itself. So many couples think of the planning part as something to “get through” which is I think is entirely the wrong way to go about it. For a basic destination wedding, it makes sense to start the planning process a good year in advance. Feeling rushed is one of the main sources of anxiety for couples planning destination weddings, so start early to prevent it. Starting the process far in advance enables you to take a breath when you need to, take a few days/weeks off when you need them and carry on with your regular life, all while planning an incredible wedding. Every person who is an expert at anything, delegates certain tasks to others because it’s not possible to get everything done on their own and still do it well. It’s not uncommon for some couples (brides) to get possessive over their wedding planning and want to maintain total control. If this sounds like you, it’s ok to delegate some of the less important tasks to others. Your bridesmaids, parents, siblings and fiancé would probably love to help and it will help you keep your sanity. The point here is, planning your destination wedding is a time that couples can enjoy together. It is definitely not a chore or a job or something to make it through before the wedding. It’s a time for the two of you to grow closer, learn about each other and laugh. Yes, laughter is a requirement because no matter how hard you try, things will never go exactly how you want them to go. The love and laughter and good times don’t begin when you’re standing on the sand under the sun, exchanging vows. They start the second you both agree that you want to get married on a beach in Mexico. Enjoy the entire journey from that first thought until you leave the dance floor all sweaty and well maybe under the influence of too much tequila.